There are a lot of people looking to get high for many reasons. But with all the laws in place that are intended to restrict your access to certain controlled substances, you might be seeking alternative ways to catch a buzz. Believe it or not, there are plenty of household items that get you high. These are common items that probably never crosse your mind. Let’s take a look at a few of the more interesting ones. There are plenty of illegal ways to get high. But did you know that you can get high with many items you legally own and have lying around the house? Learn more about 10 household items that get you high. Go look in the refrigerator. Odds are pretty high (pun intended) that you have a can of whipped cream in there for topping off your favorite deserts. As delicious as whipped cream tastes on apple pie and chocolate ice cream, it can also provide you with a nice buzz. Inhaling the nitrous oxide gas from these canisters can provide a few minutes of euphoria. Though safe enough in small doses, this method of getting high can be risky due to a lack of oxygen. The good news is that video head cleaner provides a cheap rush. The bad news is you might need to live in the 80’s to get your hands on some. The other beds news is that abusing video head cleaner is bad news. You might be expecting an awesome head rush of amyl nitrate goodness, but in reality you will feel like your head got slammed in the car door while someone boils your blood vessels in a microwave oven. No bueno! 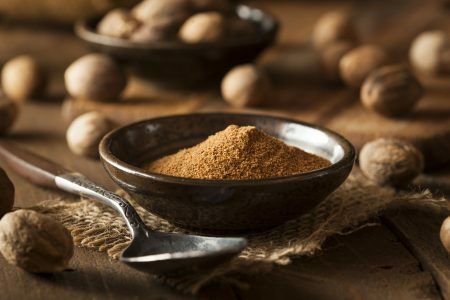 The odds are pretty strong that you’ve got some nutmeg in your spice cupboard. 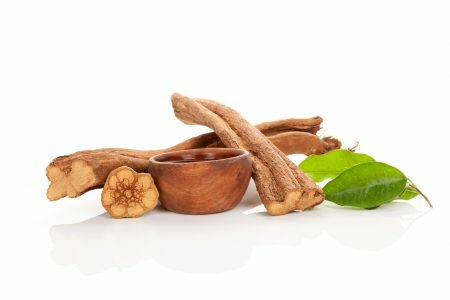 It’s a common spice that is used in a million recipes. What you might not have guessed is that if ingested in large enough quantities, it can get you high. How much does it take? Only about five teaspoons. The magical ingredient is called myristicin, and the high is strong enough to last several days. Be advised that this high does come with a few side effects, such as nausea, vomiting, rapid heart rate, and even diarrhea. 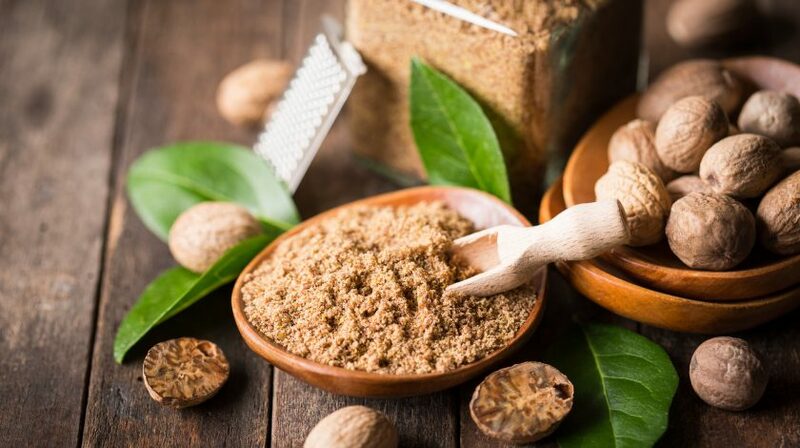 The good news is that nutmeg is not a habit-forming drug…just proceed with caution. This one probably doesn’t come as much of a surprise, but ingesting large amounts of most any cough medicine produces a hallucinogenic high. The key ingredient needed for the high is called dextromethorphan, and it’s hallucinogenic properties are powerful. The side effects of this experience are anxiety, paranoia, elevated blood pressure, and vomiting, among others. While cough medicines like Robitussin are still available at any pharmacy, purchasing them typically requires ID and permission from a pharmacist. The Colorado River Toad might not exactly be a household item, but licking them is still perfectly legal and will definitely provide a seriously hallucinogenic high. These psychoactive amphibians live in the Southwestern United States and have skin and venom that contain chemicals that when ingested can be crazily hallucinogenic. Especially if you milk it fresh from the glands and smoke it. Talk about a wild trip! It’s no secret that mouthwash contains a large amount of alcohol. Enough to get drunk if ingested in large enough amounts. It’s intoxicating enough that recovering alcoholics can fall back into their addiction by consuming mouthwash. But be aware that the alcohol in mouthwash is not the same as in liquor. It’s made from methyl alcohol or denatured alcohol, making it unfit for human consumption. These types of alcohol can cause organ failure, blindness, or even death. The thing about getting drunk from mouthwash is that it’s easy to cover up. After all, your breath will smell like you’ve just brushed your teeth instead of smelling like you’ve pounded a bottle of whiskey. You’ve probably sucked helium from a balloon at a party to make your voice sound high-pitched and silly. This a fun gag, but be careful because in reality ingesting too much is deadly. Helium contains nitrous oxide, a gas that causes a euphoric rush. Just keep in mind that helium and nitrous oxide is a deadly combination, and consuming them can have fatal consequences. If you want to know exactly how fatal, we are talking about blackouts and heart attacks. So keep in mind that though sucking helium to get high and act silly might be fun temporarily, it’s not a safe activity. This is another bad idea that will definitely provide a wild hallucinatory experience, if it doesn’t end up killing you. This compressed gas can cause a drunk-like state but could also ultimately kill you by hypoxia by pushing the air from your lungs. We suggest you skip this high and use it to clean your keyboard instead. Yes, that’s right. Don’t be deceived by this innocent-looking little fruit. It’s actually quite intoxicating. The fact is that by eating copious amounts of mulberries, you’ll not only get to enjoy a tasty treat, you can also get mildly intoxicated. This is due to the white sap produced by the unripe fruit and green plants. Just be prepared to barf it all up after you’ve eaten so much, because tummy no likey. Can you think of anything more unappetizing than the thought of swallowing hand sanitizer? Believe it or not, the alcohol content in a bottle of this product is equivalent to about five shots of liquor. Do we even have to mention the health risks? Ok, they include internal organ damage, blindness, and alcohol poisoning. This is one buzz you should definitely take a hard pass on. Most homes are full of household items that get you high, but these household highs aren’t the best idea in the world. Each of them come with rather substantial side effects you might want to avoid. It’s pretty easy to figure out how to get high at home. Just keep in mind that your body is better off doing without. Be smart, be careful, and dunk your head in a tub filled with ice water before ingesting something not fit for human consumption. 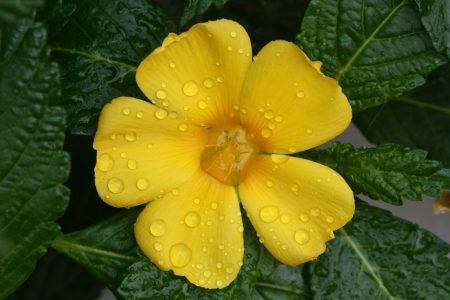 Click here to see the secret to achieving a morning glory high. Previous Post: What Are the Key Benefits of Vaping Weed?